[pullquote]“Sometimes the most scenic roads in life are the detours you didn’t mean to take.” – Angela N. Blount. [/pullquote] If you are looking for life-changing detours in the labyrinth of mountains, hills, meadows or valleys, travel to India and hit the mountainous or hilly or beachfront or landscaped roads with bikes. India’s best road trips are suitable for biking holidays in the Himalayan region, the desert trails, the Deccan plateau, the Western Ghats, the Eastern Ghats, and coastal reaches. Some road trips in India are surreal stories, while some are adrenalin-pumping adventures. 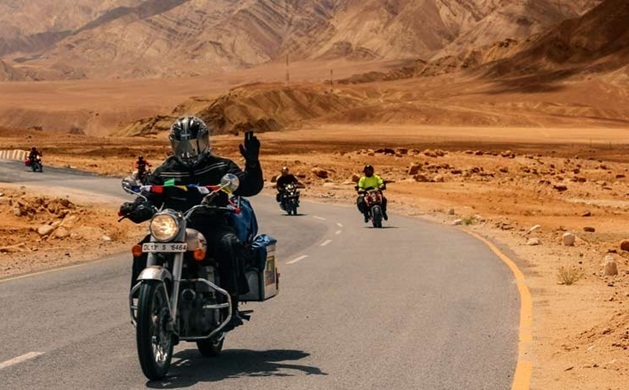 Indian Eagle shares 10 best road trip ideas for bikers. The road trip from Coorg to Munnar is one of the short road trips in India. Both Coorg in Karnataka and Munnar in Kerala are blessed with greenery in abundance. 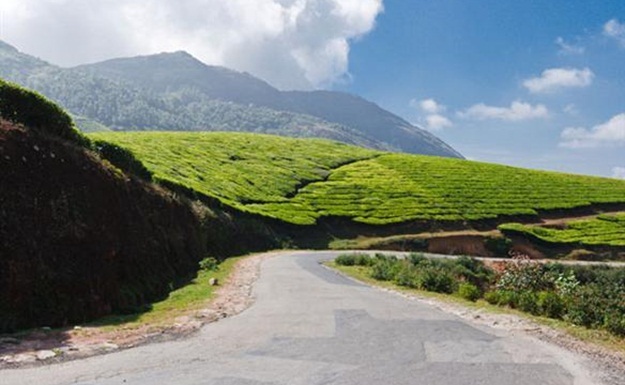 The Coorg to Munnar road trip is a ride through the corridor of lush green landscapes dotted with tea plantations rolling across forested hills. The Chennai to Pondicherry road trip in the Eastern Ghats is like a dream swing in the cradle of panoramic sightseeing. 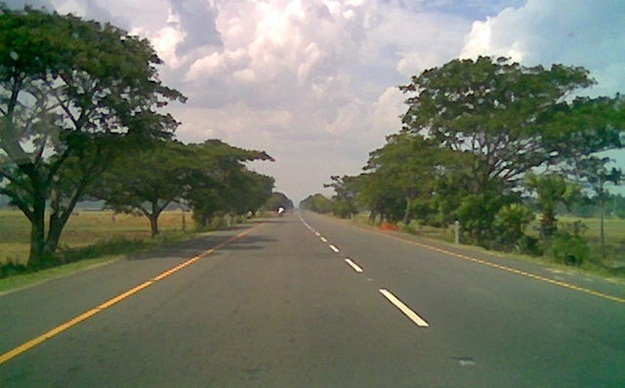 The East Coast Road from Chennai in Tamil Nadu to Pondicherry runs along the Bay of Bengal. The miles-long coastline holds scenic views for riders on the way. The road trip from Kalimpong to Siliguri in West Bengal is one of the most challenging trips for bikers because of the precarious Zuluk loops. But the beauty of the landscape on both sides of the road takes away the fear of threats to life. 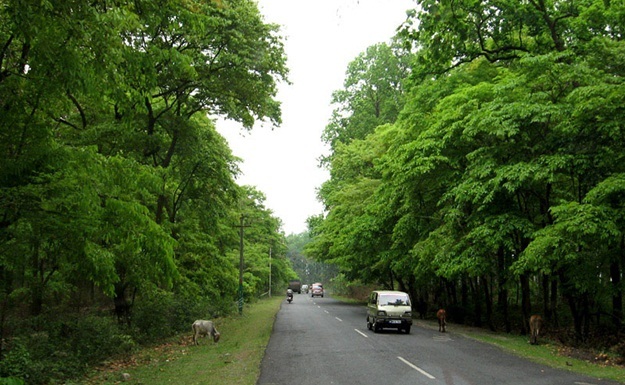 Known as the Old Silk route, the Kalimpong to Siliguri road is steeped in history. The Udaipur to Jaipur road is one of the biking-friendly desert trails in Rajasthan. Biking along this trail through sand dunes from Udaipur to Jaipur is a poetic experience for those who can drink to beauty in the aridity of desert. The rugged landscape on both sides will make you feel like a rough & tough biker. 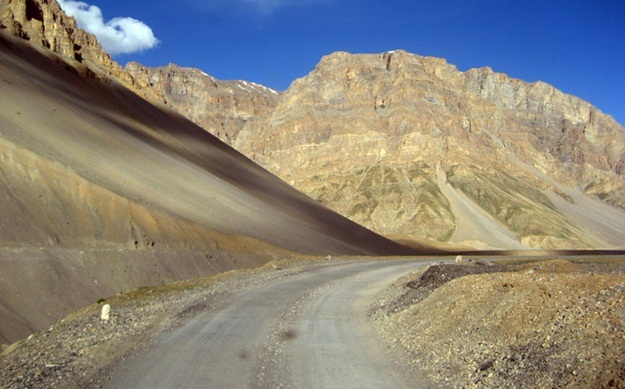 The road from Manali to Spiti Valley in Himachal Pradesh is ideal for biking and photography. 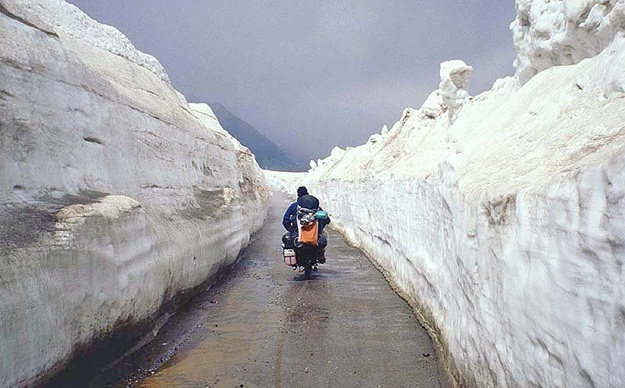 It is one of the high-altitude routes in the Himalayan region, which remains covered in snow for a longer time of the year. Manali is one of the most beautiful summer destinations in India. Spiti Valley is a pure bliss of nature in the solitude of mountains. 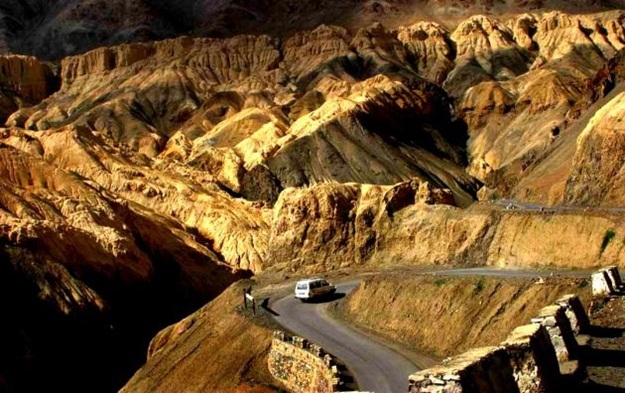 If you love riding at high altitudes for adrenalin rush, the Zanskar to Leh road trip is awaiting you this summer. Biking from Zanskar to Leh is no fun! It is a strenuous activity that puts bikers to a test of endurance. Scenic views of lofty mountains across rocky terrains will leave you with a fulfilling experience. The Rann of Kutch in Gujarat is a vast expanse of salty sands beyond horizon. 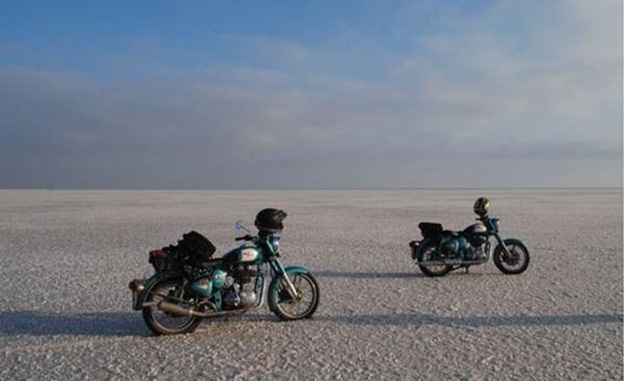 The flat and plain field rolling beyond measure, that is exactly the Rann of Kutch, offers the ultimate thrills of biking. The ethereal beauty of the moonlit night or the twinkling of the stars in the open sky makes biking a surreal experience in the Rann of Kutch. 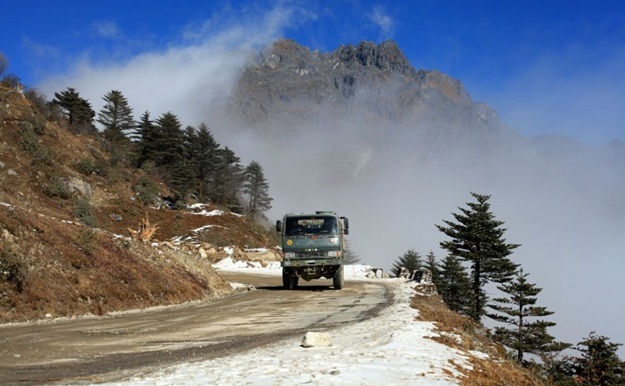 You cannot imagine how spectacular sightseeing can be without taking the Manali to Rohtang Pass road trip. The walls of snow on both sides of the road give the visual high that will remain fresh in your memory for years. Biking from Manali to Rohtang Pass is such an inexplicable experience! If you are an adventurer in search of panoramic vibes, ride your bike from Mumbai to Trivandrum via Mangalore. This road trip promises to be a celebration of the senses due to pristine beaches and verdant forests on the way. The Mumbai to Trivandrum road trip is part of the Udupi trail for biking. The Arunachal trail from Bhalukpong to Tawang in Arunachal Pradesh is the call to those strong hearts which beat for excitement out of adrenalin rush. Be careful to avoid the traps of danger on the way. Landslides cause roadblocks in the seasons when extreme weather is experienced. If you believe in the maxim “All is well if the end is well,” the Bhalukpong to Tawang road trip is a story to be retold several times. Travel Beats, a digital content portal by IndianEagle, publishes interesting travel stories, useful travel tips and latest aviation news from India and United States. Thank you very much for the visit and interaction! Just want to add few more to ur list … Gangtok to Yumthang Valley , Bangalore to Gokarna , Pune to Mumbai , Gangotri to Kedarnath and our fav is Kullu -> Rohtang Pass -> Leh -> Ladakh -> Kargil -> Srinagar …. 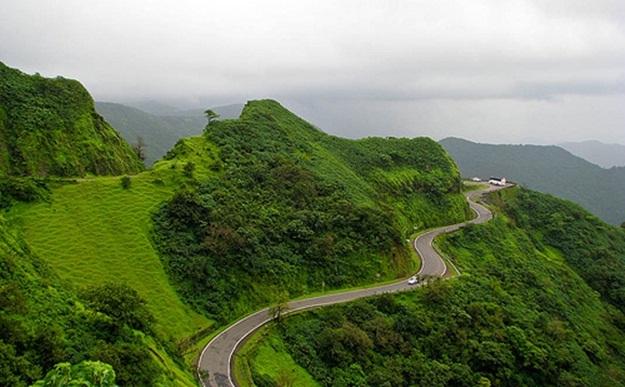 India is sooo beautiful …..
We will surely add these to our list of road trips. Thank you very much for the suggestion! !